HAVOC was developed by Sifu Jay Cooper from his personal experience of confrontation while working for the Canadian police. As a recognised authority in Canadian and UK courts on ‘use of force’, he has expert knowledge in both the physical and legal aspects of combative situations. Sifu Simon Sheridan has over 30 years of martial arts experience. It all began at the tender age of 17, when he began studying Kung Fu. This took him into his twenties, after which he added Jeet Kune Do and Eskrima to his skillset. In 2017 he was invited to be the first instructor to represent the UK arm of HAVOC Jeet Kune Do, and now teaches in Kent and at seminars around the country. Simon’s continued research has exposed him to Muay Thai under Master Sken, Eskrima under Guru Khrishna Godhania (Warriors Eskrima), D.A.R.T (Karate) under Dr John Titchen, Tai Chi under David Arnold and Simon Watson and Simon has also been a private student of Grand Master Danny Guba (Doce Pares Eskrima). When he’s not living and breathing martial arts, Simon enjoys photography and spending time with his family. Andy is a qualified apprentice instructor and is currently training under Simon in Kent. His martial arts experience includes Eskrima, Kung Fu, Shotokan Karate and Tang Soo Do. He is generous with his knowledge and has taught at seminar level to all ages around the county. When he’s not in class, Andy enjoys riding his motorbike. “As the founder of HAVOC JKD I am absolutely meticulous – some would say ‘obsessed’ – with having techniques that have been tested and proven in real encounters. I leave nothing to theory or chance. This approach is even more important when it comes to selecting my instructors. “I had the pleasure of having Simon Sheridan visit my club to run the group through some boxing drills. “He was very friendly and easy to work with and everyone really enjoyed learning from him. His knowledge was also very well informed and his experience shone through very well in the way that he taught and spoke to the class. 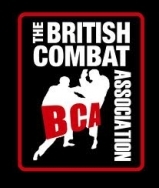 I have also worked with Simon at numerous martial arts charity seminar events and every time they have been punctual and professionally run.